Welcome to Premium Spices Torbay. 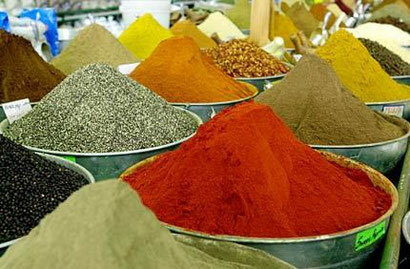 We specialise in the distribution of high quality Spices from India, Indonesia and Europe. All our spices and herbs are not irradiated, and certain spices are certified organic. You can choose from small sachets to bulk quantities. With our competitive prices, great service and top quality products, we entice you to Spice up your Kitchen. Buy Spices online. You can view our entire range in our online shop and choose your favourite spices. We assure fast delivery once the payment is complete and most people are amazed by our fast service as most people don't believe us unitl they tried it. What are the top ten benefits from eating chia seeds? Save on delivery cost by purchasing more products. We do not charge more than $6.50 New Zealand wide, except small island deliveries. Payment method: You can either pay with your paypal account, use your credit card or pay by direct bank transfer.